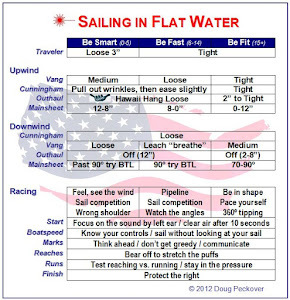 Improper Course: Nervous Before Racing? Perhaps you’ve noticed that our blog posts have dropped off in the last year or two. It’s my fault. 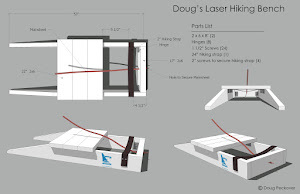 Doug is always sailing, always learning and always willing to share anything he knows but I stopped following him around like a two-year old constantly asking ‘why?’ and insisting he find a way to make it easier for me to understand. Life sort of knocked me down and I gave into that little voice in my head that said ‘stay down, rest.’ I settled into a normal routine and caught up on sleeping, eating, working and not sailing. And during that resting period, my behind grew a little wider and cushier and an obstruction has attached itself to my abdomen which makes movement a little less fluid. Finally, I’ve decided, rest and old age be damned! I’m getting back up. Comfort is a bad thing and a little discomfort just might be what it’s all about. I’ve been back on the water for the past two weekends and despite mistakes, confusion, and pain, I’m managing to land closer to the front than I’ve earned. The questions are all starting back up again. The first thing that I noticed upon my return to sailing is the nerves. Maybe adrenaline is the better word. Just like clockwork, when I go sailing, about 10 to 15 minutes away from the club, I suddenly have an urgent need to hit the head. It never ceases to amaze me that my voluminous download always exceeds my moderate upload. That’s just regular racing days. On regatta days, there are multiple downloads before I ever hit the water. Why? I’ve asked Doug, I’ve asked another sailor who lands in first place more often than not and I’ve asked my brother, a retired professional tennis player. 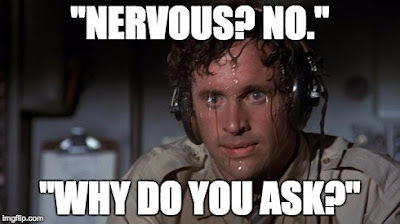 Doug doesn’t get nervous anymore. He did once upon a time but after winning two Laser Master Worlds, he just doesn’t. In fact, he can’t even make himself get nervous about a regatta. The other sailor said he has a similar issue as me and he’ll be going off the back of the boat right up until racing begins. 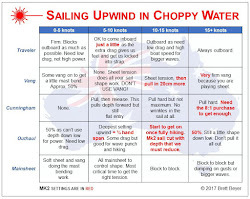 The sailor says he channels the extra adrenaline into improving his performance. My brother tells me that if I have nerves, then I’m sailing for the wrong reasons and I’m holding on too tight. He had a back injury that looked like it would end his tennis career so when he was miraculously able to return to the court, he said there was a shift and even though he absolutely wanted to win, he never lost sight of being grateful for still being able to compete. An interesting mix of perspectives. One who doesn’t get the adrenaline rush, one who channels it into a better performance, and one who tempers it with gratitude. This past weekend, I competed against 17 boats and finished with a 2 and a 3, then Doug and I sailed together with me driving and we finished 5th. Except for the last race, the adrenaline was still there but my focus was different. I was putting more emphasis on a personal challenge of handling the conditions better than I have in the past and using it as a benchmark of my physical and mental condition. Having decided that comfort is a bad thing, I was sort of welcoming the challenge of the discomfort. So, in my highly unscientific study, I’ve noted a few different experiences. I wonder which is more common. I thought the conventional wisdom in sports - and in other kinds of performances too - was that some level of nerves is a good thing. Too much and it can be hurt your performance. Too little and you don't really care enough so you don't do as well as you should. Channeling the nerves or adrenaline into improving your performance is the way to go. Nerves? Anxiety? Arousal? Are they all different words for the same thing? I did write about this in Managing Arousal and Anxiety. Also, the chart in this post Dirt might explain why Doug doesn't get anxious any more. Interesting posts. I remember the Dirt one but not the other. I don't think I looked at the Dirt chart long enough last time. This time, I paused longer and it really does explain alot.